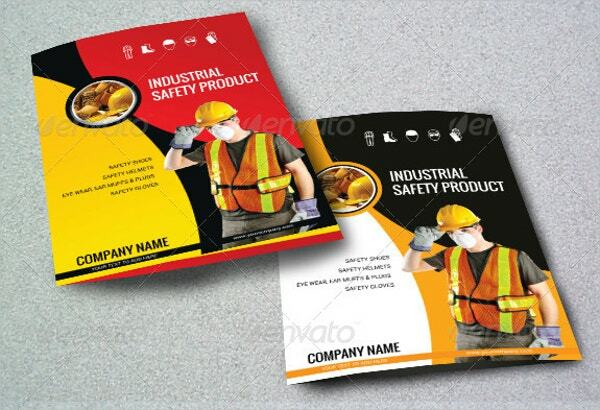 This Multipurpose Safety Brochure adds a lot of benefit to your organizations. It is suitable for Safety Product Source Company, Trading and Constricting Company, etc. It comes with 300 dpi resolution and CMYK color mode. It is available in 11.5×8.3 inch size. 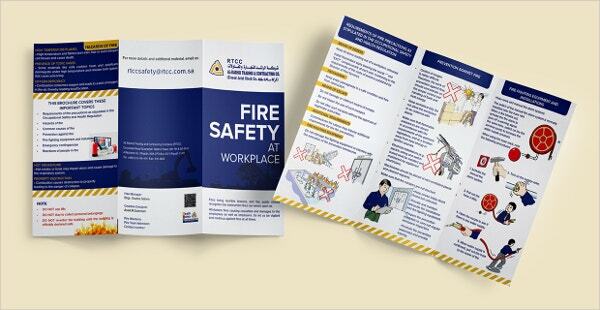 Use this well-designed and attractive looking Fire Safety Gatefold Brochures for all your safety and trading companies. It’s adapted in all the three versions viz Microsoft, Apple, and adobe. It includes .ai, .eps files and is highly responsive. 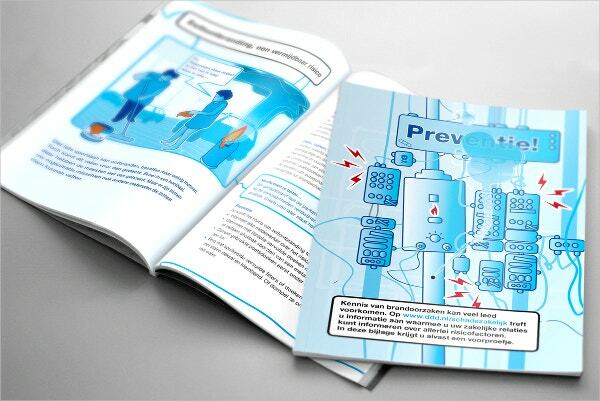 Use this Fire Safety Measures Brochure for any famous project. It is suitable for Mac, Windows and Adobe with modified features. It comes with 300 dpi resolution and has professionally written text. 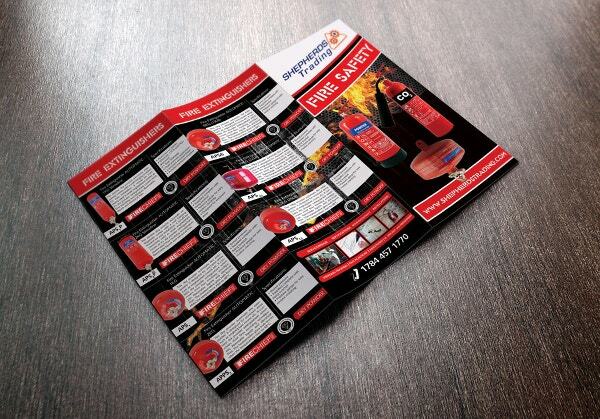 This brochure is a leader in Fire Prevention. It is perfect for security guard companies. The software used is Adobe Photoshop and comes with CMYK color mode. 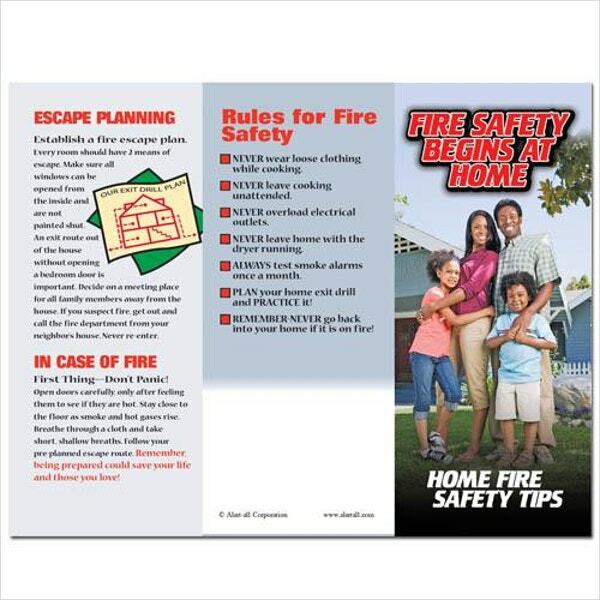 This multi-purpose Fire Safety Tri-fold Brochures can be used for various activities. It is easy to edit the font, text, color, etc. and it comes with fully adobe illustrator format. It comes with a print ready format and CMYK color mode. 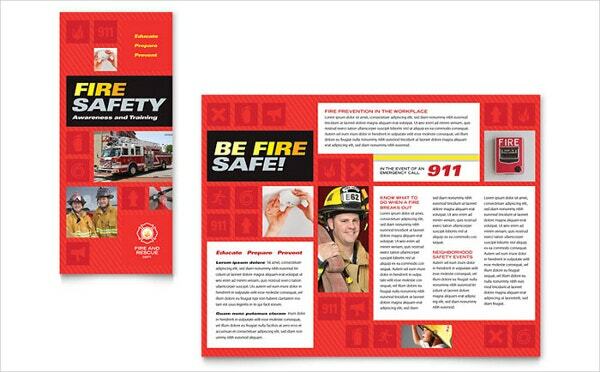 This attractive and beautifully designed Fire Safety Awareness Brochure Template comes with best quality layouts with colorful graphics. It is user-friendly and 100% responsive. Designing your own brochure is just cool and simple. 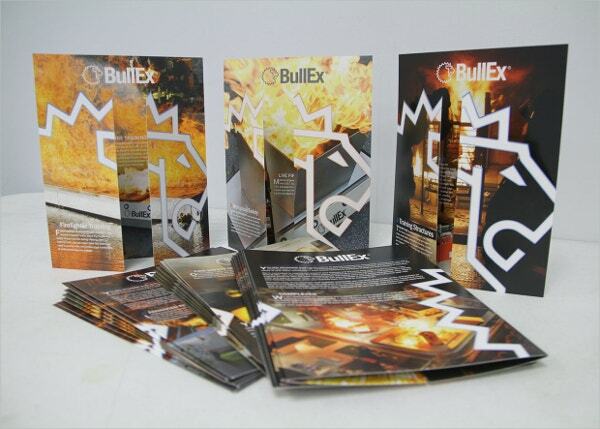 Fire brochures from our website offer a lot of vibrant and attractive designs to choose from. All of these brochures are unique and made of high-quality they deliver important messages to every customer. Use them for direct advertising and for attracting a huge audience.